Looking for an easy, affordable way to decorate windows and glass doors with the beauty and color of stained glass? Application of this adhesive-free vinyl clear window film is an easy Do-It-Yourself decorating project that will look great for years. With a large variety of rich and luminous stained glass and frosted glass window film colors you can create a very high-end look with little time and trouble. Many of these Stained Glass and Frosted Glass Decorative Window Clings are also available in privacy designs. 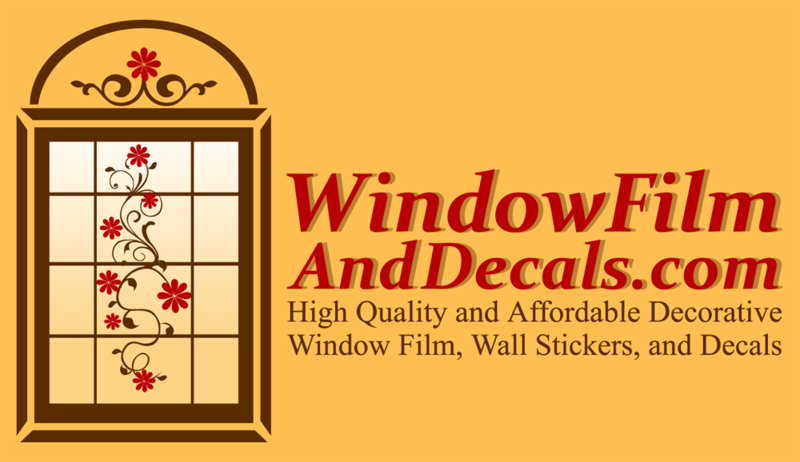 These High Quality Vinyl Window Clings are highly recommended for both residential home applications and commercial applications. Perfect way to add beauty and elegance without the difficulty of hanging expensive blinds which require putting holes in your window frames or walls.